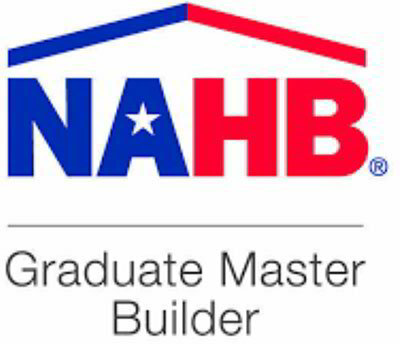 Graduate Master Builder™ - The ultimate symbol of the building professional, the Graduate Master Builder designation is for experienced, veteran homebuilders. The Graduate Master Builder courses require in-depth instruction geared towards experienced building professionals. It’s a significant time commitment, but graduates gain a complete knowledge of all facets of the homebuilding industry, build a new network of homebuilder peers across the country, and can inform their potential clients of their commitment to be the best in homebuilding, customer service and advanced construction techniques. John Gilley, CEO of Edinburgh Custom Homes has attained this special certification showing his desire to be one of the best homebuilders in the USA. Certified Green Professional™ - This national designation recognizes builders, and other industry professionals who incorporate green and sustainable building principles into building their homes — without driving up the cost of construction. Green Building Professional’s curriculum is closely aligned with the ICC 700 National Green Building Standard. It includes a focus on energy, water and resource efficiency, indoor environmental quality, lot and site development and homeowner education. There are approximately 3,000 active CGPs in the United States working in all aspects of green high-performance home building. As a green homebuilder, John Gilley can show you ways to “go green” on your current homebuilding or remodeling project with Edinburgh Custom Homes. Certified Aging-in-Place Specialist™ - Experienced home remodelers are even better with the Certified Aging-in-Place Specialist designation. The CAPS certification courses teach the technical, business management and customer service skills which are essential in the fastest growing segment of the residential remodeling industry - home modifications for mature adults who would like to age in place. This designation also includes home modifications for disabled residents and those with health challenges. The Baby Boom generation has many choices on where to live, but overwhelmingly seniors prefer to stay in their own homes. Home remodeling specialists who seek the CAPS certification are dedicated to their craft and growing their remodeling business – and that is evidenced by their commitment to continuing education. 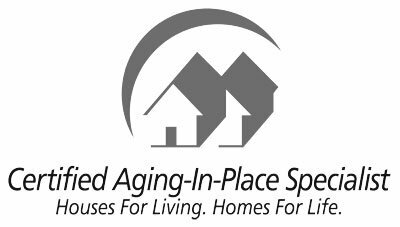 The Certified Aging-in-Place Specialist designation gives Edinburgh Custom Homes’ clientele the reassurance that they have experienced assistance in making the right modifications and renovations to their existing home - so they can live there comfortably and safely.